A. THE NEED FOR CONTROL. B. PURPOSE OF RADEIGHT ABLE. D. HOW CONTROL IS EXERCISED. Aircraft in modern warfare have assumed a role of tremendous tactical importance. The speed, flexibility, and striking power which insured their rise to equal partnership with ground and surface forces created new requirements in planning and directing modern naval operations. The day of the pilot as a one-man fighting unit, strictly on his own, has definitely passed. Today pilots are members of highly trained tactical teams which include not only aviators and aircrews themselves but also controlling personnel afloat, ashore, or airborne. Control of aircraft is vital in present-day operations because of the number of aircraft involved, the complexity of modern, round-the-clock air tasks, and the vastly speeded-up tempo of air warfare. Briefing of pilots prior to any mission is still essential, but it can never be sufficiently comprehensive to cope with all of the exigencies which arise from our newer and vastly broadened sources of tactical information. basic equipment used for aircraft control are air search and surface search sets. From these, regardless of conditions of weather or visibility, the presence of an object, its bearing, range, altitude, and composition can be determined with a predictably high degree of accuracy. Radar has extended many-fold our knowledge of the immediate area of operations. The second instrument essential to aircraft control is electronic communication. Through radio the flight leaders and individual pilots can keep in constant touch with their controlling base. The basis of all aircraft control is the closely integrated and skillful employment of aircraft, detection devices, and communication. The purpose of RADEIGHTABLE is to summarize in one nontechnical publication the principal means and methods used in the control of aircraft in current naval operations. This discussion will be general rather than specific, for changes and improvements in equipment and techniques are both constant and inevitable. However, the developments that have taken place during and since World War II have been the result of sufficient combat experience to create a firm nucleus of practice and doctrine. are prepared to exercise whatever operational control may be desirable for the successful accomplishment of a mission. In effect, control means immediate, voice-radio effected briefing of pilots during their missions to enable them to meet any situations which may arise. The degree of control which is required varies considerably according to the type of mission on which the aircraft are engaged. In the case of routine air searches or antisubmarine patrols, control may be limited to simple communications and identification checks and landing instructions. 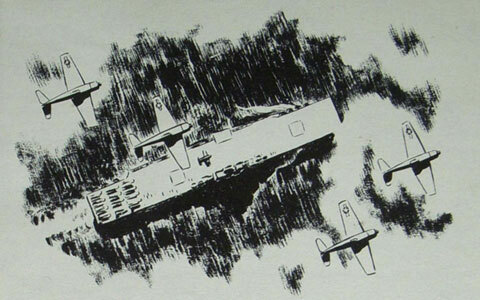 Control of spotting planes, rescue missions, and "Call Strikes" is more complex and the control of defensive night fighter planes in the protection of own forces may be regarded as the most exacting technique of all. While Fighter Direction, now known as Defensive Air Control, was the parent of all types of air control depending on electronic information, and still remains the most highly developed technique, it must not be forgotten that air control has many other vital uses. New equipment will undoubtedly lead to the development of many additional functions of air control, particularly with respect to offensive missions. upon to control planes. It is, therefore, the responsibility of carrier air control officers to insure that their pilots are uniformly trained in standard techniques which are in accordance with the latest effective doctrine. Only if this is accomplished can the fleet depend on uniformity of results. Combat Information Center is the main nerve center for the control of aircraft. CIC is a space wherein are located the personnel and equipment tor the reception, interpretation, evaluation, and dissemination of information. Briefly, CIC furnishes a continuous accurate picture of the current tactical situation and takes positive action in controlling assigned aircraft and in protecting the force from attack. Using the authority delegated to them by higher command, CIC personnel work as a team within the force to coordinate the air activities of forces afloat and ashore. 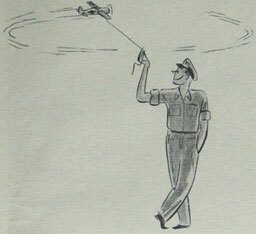 If the force experiences enemy air attack, CIC directs the pilots out to meet the enemy. From the information available, size of raid, course, speed, altitude, location, condition of readiness and number of own defensive fighters, the Group CIC Officer decides how many defensive planes to send out to intercept the raid. It is his responsibility to make immediate tactical air control decisions for the safety of the force. relative motion at aircraft speeds (subsonic, sonic, and super-sonic). weather conditions affecting flight operations and combat tactics. voice radio (R/T) vocabularies and procedure. radar scope and plot interpretation. control technique for all missions and under all conditions. organization, functions, and responsibilities of CIC in task organizations. controller must bring to his task an alert mind and bo capable of quick action based on sound and rapid judgment. The requisite skills can be developed only through long and arduous practice. But such skills are vital, for effective control of aircraft can mean the salvation of an operation, its misuse may mean the destruction of the fleet.